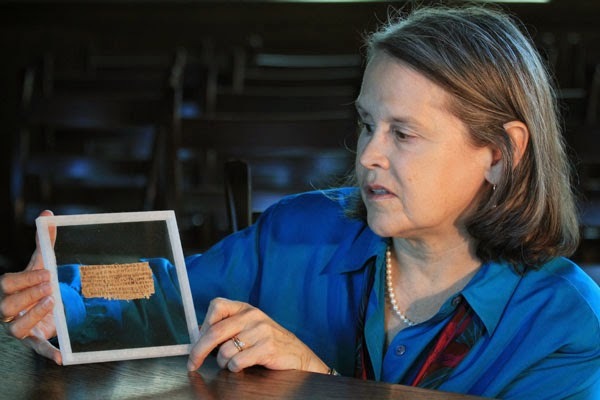 In September, 2012, a faded fragment of papyrus, which has controversially come to be known as 'The Gospel of Jesus’s Wife', made international headlines when it was unveilled by Harvard Divinity School historian Karen L. King. The announcement, unsurprisingly, was met with both anger and elation, as well as a great deal of skepticism as it contained a phrase never seen before in any other scripture: "Jesus said to them, my wife…. ", and "she will be able to be my disciple", a phrase that stirred debate over whether women should be allowed to be priests. An editorial in the Vatican’s newspaper declared that the papyrus was a fake, as did a number of other scholars. However, the fragment has now been thoroughly tested by scientists who conclude, in a report published in the Harvard Theological Review, that the ink (actually pigment) and papyrus have ancient origins, and the fragment is not, therefore, a modern forgery. However, scientific analysis is not always enough to convince some. The Harvard Theological review, is also publishing a counter piece by Egyptologist at Brown University, Leo Depuydt, whose paper predates the scientific analysis. According to a report on the story in the New York Times, Dr Depuydt said that testing the fragment was irrelevant and he saw “no need to inspect it”. 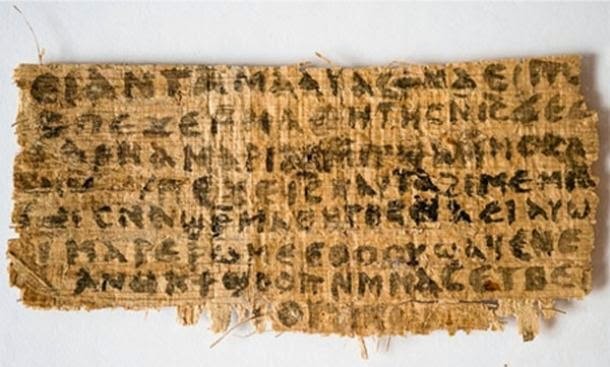 He said he decided that it is a fake based on a newspaper photograph of the papyrus in which he saw “grammatical errors”, as well as similarity to writing in the Gospel of Thomas. In a rebuttal, King finds Depuydt’s textual analysis unpersuasive. Dr King has been quick to point out that the test results do not prove that Jesus had a wife or disciples who were women, only that the fragment is ancient rather than forged. She does hope, however, that the discussion, commentary, and focus can now move on from ‘is it fake?’ to ‘what does all this mean?